A child's ability to read, learn and do maths effectively lays the foundation for their academic success, which has a far-reaching impact on their future. Edublox Educational Services specialise in educational interventions comprising of cognitive training, reading, spelling, comprehension and maths. A second generation family business, Edublox has had its roots planted solidly in South Africa since the eighties, and since implementing a franchise model in 2010 Edublox has grown to include 26 offices, offering a variety of services and products. The successful Edublox brand has been built on the solid foundation of a number of core values — with the desire to develop learners to achieve results through providing safe, challenging and fun learning experiences at the heart of the business. Edublox has acquired a credible reputation in the market through using tried and tested educational practices based on established theories and by working professionally with proper business and fit-for-purpose computerised systems. Quality and compassionate customer service is also a key value, with the importance of amiable and value-adding relationships emphasised. Edublox people are exceptionally proud of the wonderful achievements of their learners, but remain humble and view the opportunity to fill in the gaps as an honour and privilege. 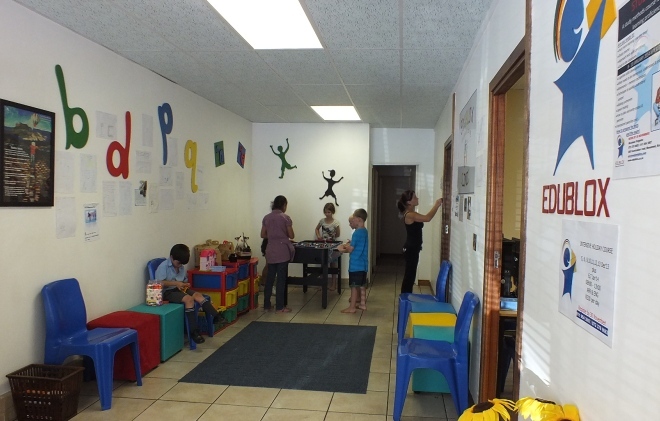 We are therefore committed to selecting like-minded franchisees, with preference for teachers who love and communicate well with children, and who ideally have some teaching experience, mainly with primary school learners. From the business side of things, prospective franchisees should be disciplined self-starters with a high level of personal integrity, possess good organisational skills and scheduling ability, and be willing to actively work in and manage the business. With customer satisfaction surveys yielding remarkable results (96% of parents are willing to recommend Edublox), a positive report card from the franchise satisfaction survey (conducted by independent consultancy Franchize Directions) and gold awards being scooped up at events like the Roodepoort Chamber of Commerce and Industry (ROCCI) Business of the Year Awards, suitable applicants can clearly benefit from joining a franchise operation that's done its homework and is achieving its goals with flying colours. Franchise opportunities in UAE will be available in the near future. Please complete the form below if you are interested and we will keep you updated about the progress. Please complete the form below and we will keep you informed about franchising updates.